Thank you, thank you, thank you! 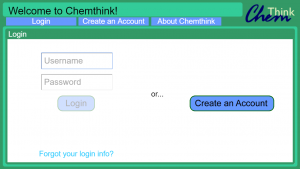 The ChemThink simulations are really the best at teaching particle-level chemistry. 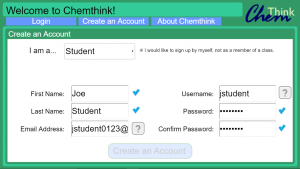 I can’t wait to see and use the new ChemThink! been trying to post sims into my teacher account for class to use. How do you do this? Good question! The system isn’t actually set up to do this. There are currently only 2 simulations (“Atomic Structure” and “Particulate Nature of Matter”) that are available on the new server. The old ones are only available as standalone Flash files that are not compatible with the new server. I am currently working on “Ionic Bonding”, and hope to have it available on the new server in the next few weeks.